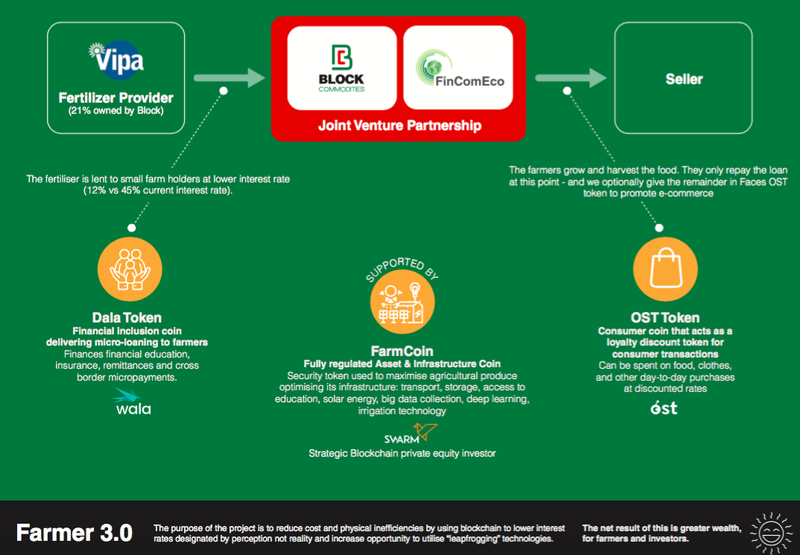 In their mission to empower farmers and help Africa grow, Block Commodities counts on key partners to enable the blockchain-based ecosystem that lies at the core of Block’s work. Sub-Saharan Africa has plenty of growth potential, but current inefficient systems and abusive interest rates and fees are holding back production and scalability. Projections of growth and development are based on the potential of exploiting a country’s resources and productivity capabilities. Initiatives to enhance agricultural output, such as that of Block, will help push growth projections higher. With the support of blockchain technology, Block and its Joint Venture partner FinComEco are deploying crypto tokens into different applications, nurturing a supply chain where farmers are independent of financial institutions, thus in control of their production and income. In rural areas of sub-Saharan Africa, financial institutions such as banks and insurers cover only 14% of the population. Blockchain financial platform Wala — and its crypto token Dala — are looking at this massive divide with a view to addressing the large portion of unbanked farmers, offering them a solution for finance access without bowing down to the expensive fees imposed by banks. Block Commodities, in partnership with Dala Wala and FinComEco, is developing a project to provide cryptocurrency loans to 50,000 smallholder farmers in sub-Saharan Africa at affordable rates for them to purchase fertilisers and expand production. In Zambia, for example, loan interest rates are at around 40%. Using cryptocurrencies, Block and Dala will provide loans at 12%. 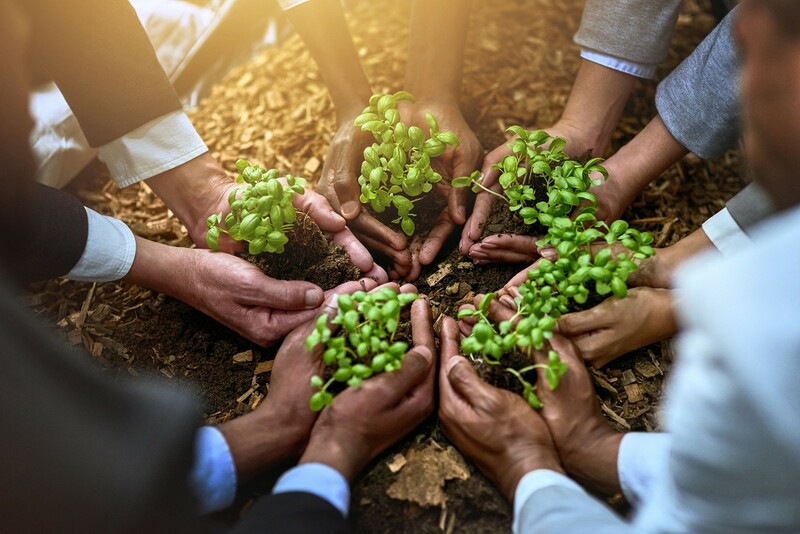 Designed and funded with the support of strategic investor Swarm Fund, Farm Coin is at the top of Block’s ecosystem, ensuring that all infrastructure related to farming is working optimally. Farm Coin will be employed to bring the latest developments to the assets involved along entire supply chain, such as better transportation, storage, broader access to education and solar energy, as well as technological developments such as big data collection, deep learning and irrigation technology. When infrastructure is improved, farming output can also be taken to higher levels, allowing farmers to produce more than just what is necessary for themselves. OST’s system is safe, fast and stable. It provides farmers with the security of keeping their money in a e-wallet, with the benefits of not being subjected to inflation rates or exchange fluctuation, and the wallet being available to use promptly at any time. As a consumer token, it broadens the scope of products that farmers will be able to purchase, through established partnerships with shops and services. The consumer token is not only improving financial conditions of farmers, but also enhancing the local economy with the built-in incentive to buy locally. Block, FinComEco and OST are working on growing the network of companies and services that adhere to the OST system, aiming to keep increasing the number of options for farmers to exchange their tokens. The system as a whole ensures that farmers are not subjected to financial institutions — and high fees — at any point of the supply chain, and can more self-sufficient. “With the interest rates lower, it means the farmer is going to buy more fertiliser and to grow more. We are at the beginning of a reset for finance and agriculture for Africa” said Block Chairman Chris Cleverly to BBC Focus on Africa. We are on the verge of revolution in the developing world. Stay tuned for more.